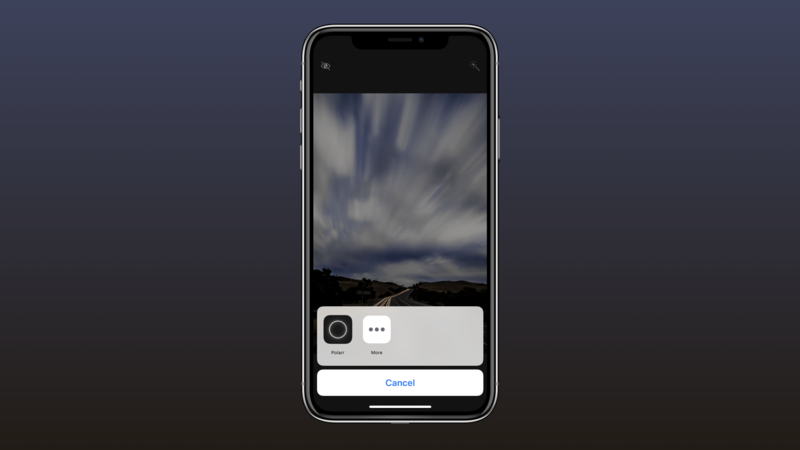 Users on iPhone or iPad can set up their device to show Polarr as an edit option in their camera roll. This is a great feature to enable for those times you might be browsing your camera roll and find a photo you would like to edit. By adding Polarr to your iOS Camera Roll extension you're able to quickly make edits to that photo with Polarr. Here's how. 1) Go and select a photo in your Camera Roll 2) Tap the Edit button (Between the heart and trashcan) 3) Click the ellipses 4) Tap Polarr to edit using Polarr 5) Didn't see Polarr in that last step? Click more and enable Polarr.